Field of Flowers. 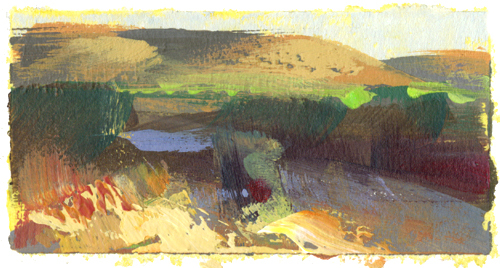 Painted for "Spirit Stallion of the Cimarron" 2001. 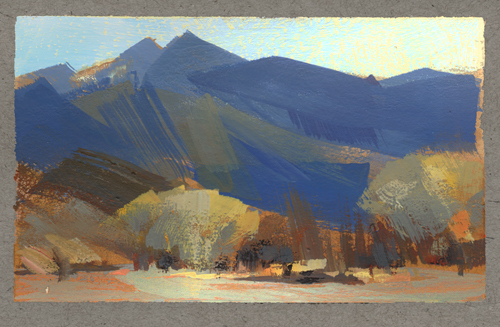 Acrylic on Crescent board. A glimpse of Elizabeth Lake. 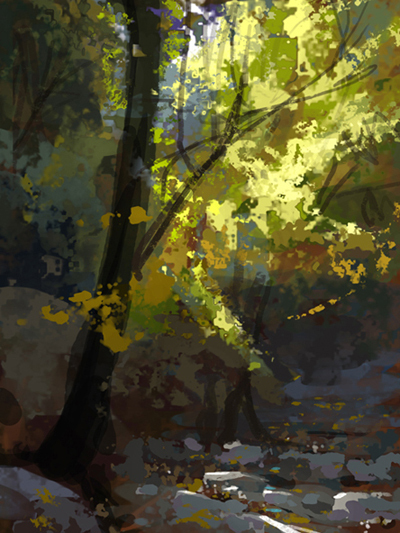 Fall in Angeles Crest Forest, digital. View from my hotel in Death Valley.